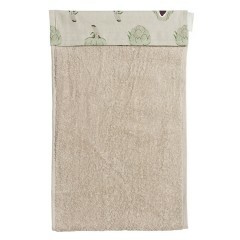 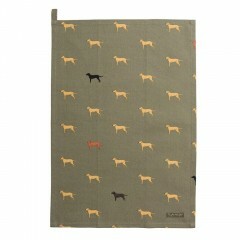 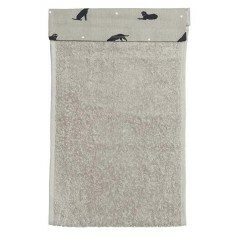 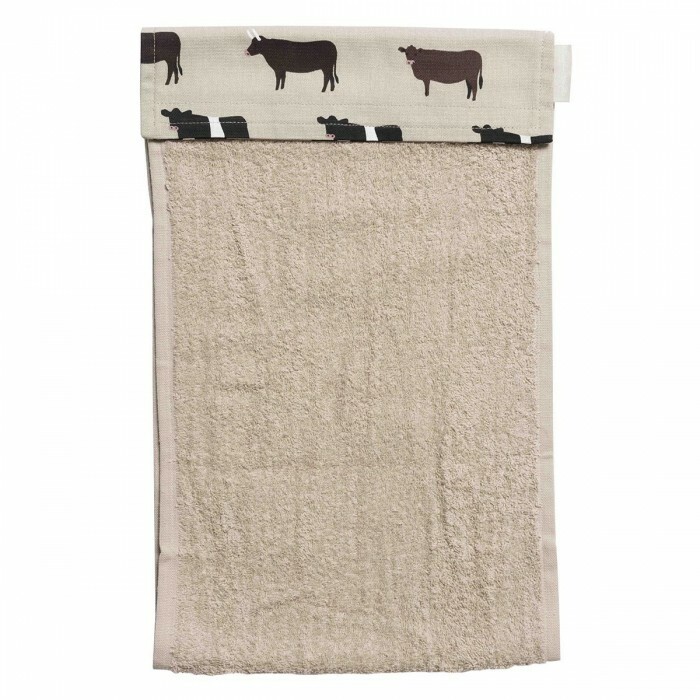 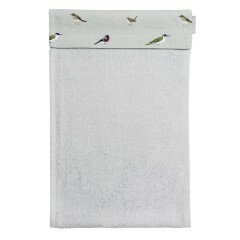 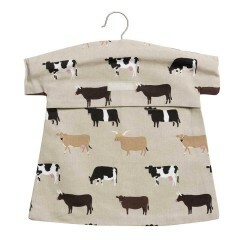 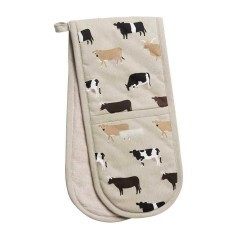 This practical hand towel can hang on your AGA, range or cooker rail. 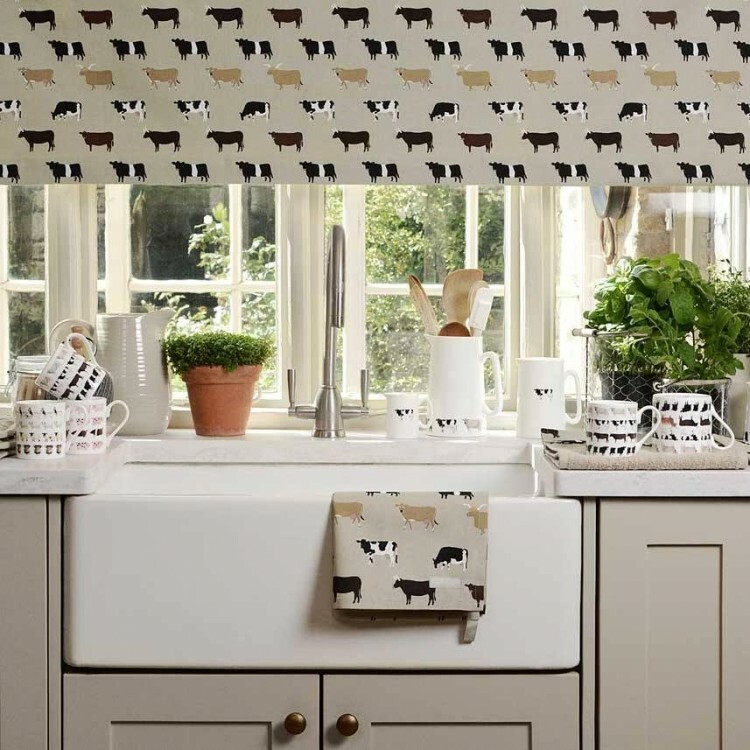 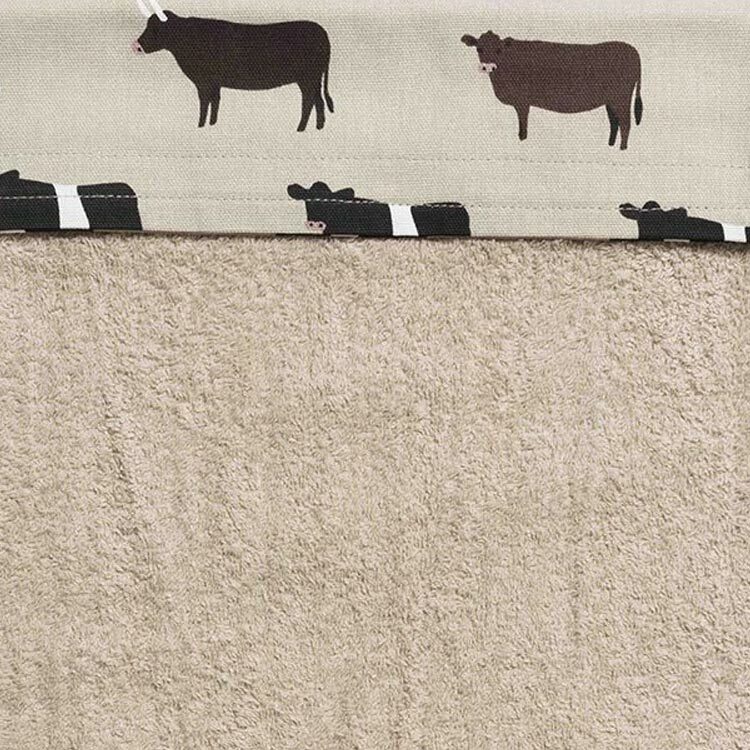 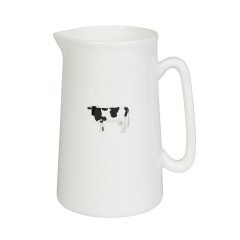 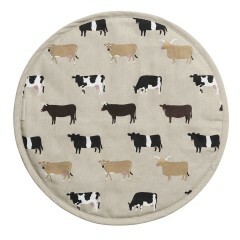 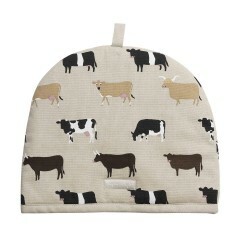 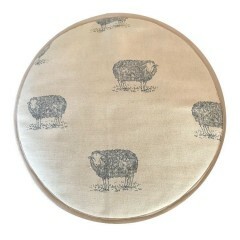 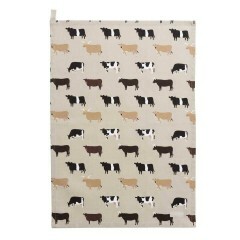 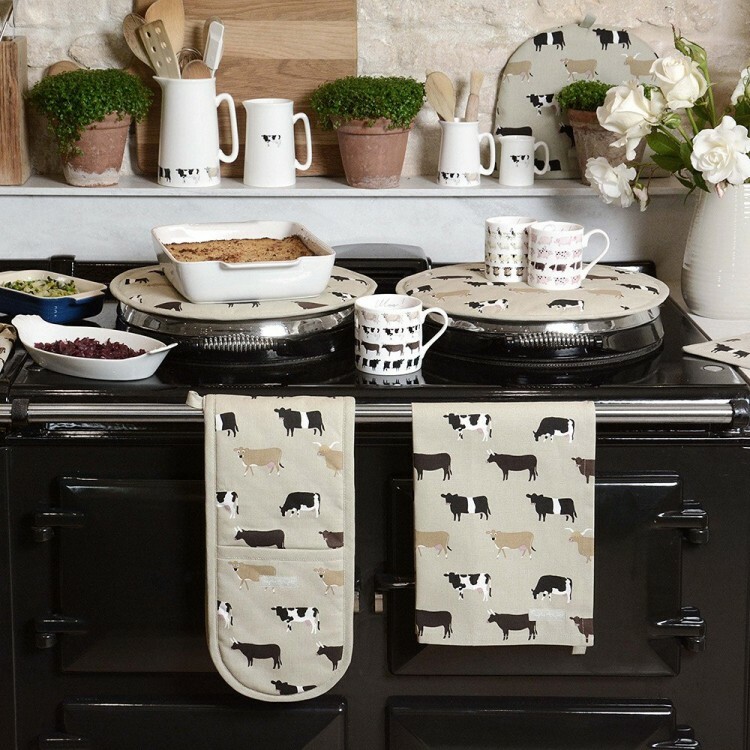 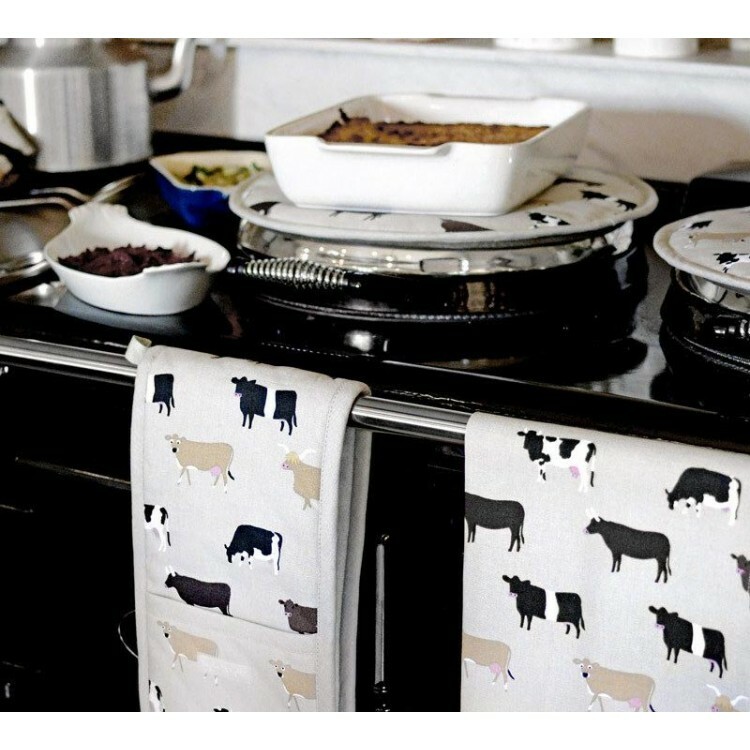 A lovely country design featuring the Belted cow, the sandy coloured Highland cow, Jersey cow, Friesian Dairy cow and Aberdeen Angus breeds all on a neutral fawn background. 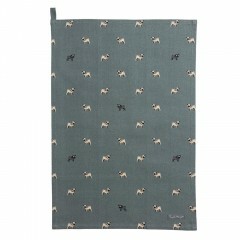 Hard wearing and absorbant, it is velcro fastened to avoid continually falling on the floor! 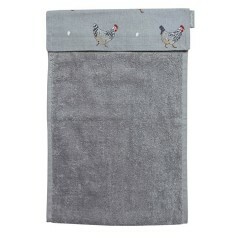 Use in the kitchen on the cooker rail, a towel rail in the utility room or even the downstairs loo.